Which one does he choose now? 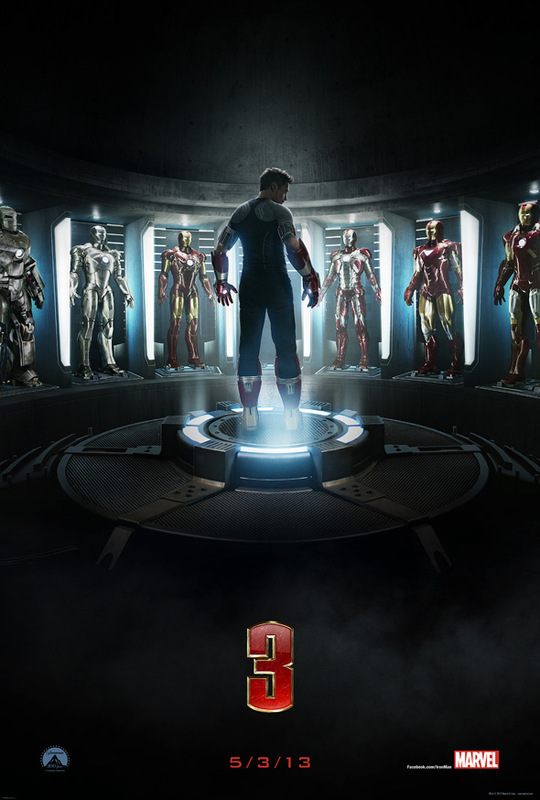 Instead of a more flashy, explosive, bombastic design (like this one), Marvel has opted to go for a refined, darker, subtle look at Iron Man and his armory on this first teaser poster for Marvel's Iron Man 3, directed by Shane Black. Disney, in advance of the big trailer debut on Tuesday, has started releasing a number of exciting previews to hype up fans. Another big reveal includes our first public look at Ben Kingsley as the villain Mandarin, leader of the Ten Rings, in full make-up and costume. This is more than enough to get me hyped and we haven't even seen much footage yet (except for at Comic-Con). Up first, here's the brand new teaser poster released by Marvel Studios and Disney showing off his armory. 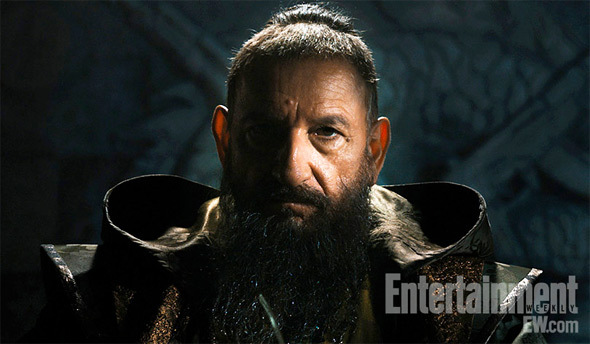 Here's the first look at Ben Kingsley as the villain Mandarin, via EW.com. We will see more of him soon. Don't forget, the first full trailer for Marvel's Iron Man 3 is now officially released to see - watch it here! Something else is ready to explode in the form of a liquid called J.
Yellow Face - Racist. But y'all will still go see it. I can't pay for this. I'm going to pay for another movie and sneak in. Can't promote this stuff. Not in 2013. This is rediculous. lol - wtf are you even talking about? Mister ,why don't you rike this movie? So the movie Gandhi was racist too O.o ?!? This is starting to look like a true IRON MAN movie. The armory looks amazing and Ben Kingsley, although not like how I had imagined him, looks good as The Mandarin. The first IRON MAN was really cool but this new film looks like it hit the jackpot and looks like it will do an amazing job in interpreting a lot of the cool stuff from the comics that many people thought it would be impossible to keep that reality when trespassing it to the big screen.